My absolute go-to for all formal events, work meetings and weddings, Justin Reece is an absolute must for the shoe department! The third I have written about in the past 6 months, today I’m looking at the brown and blue brogues, which look an absolute wonder with my navy blue suit. 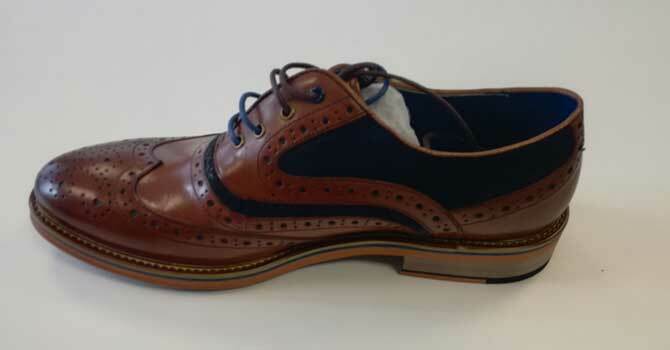 The addition of two colours of laces (blue and brown) are a great supplement, while the decorate perforations are met with a darkened tip to the toe section. 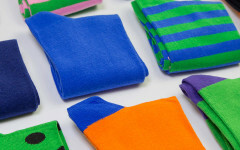 Something that stands out with this pair over the others is the coloured base, with a yellow, blue and orange base. These additions are subtle (even if they sound a bit more flamboyant than I mean them to) and add to the overall classy image. 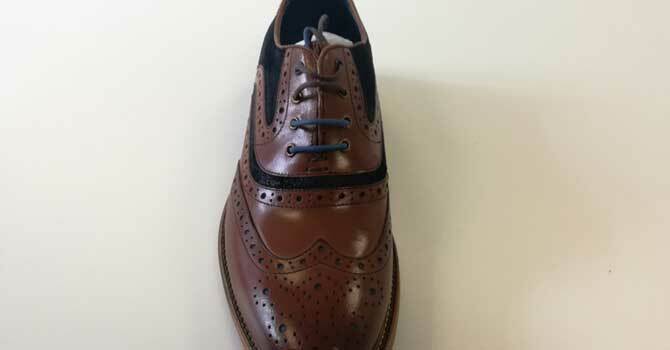 These brown and navy brogues are available from Slaters at a really decent price and exude class, making them the perfect addition to that ever growing shoe collection. Oxfords are normally those plain black shoes you will notice in formal events such as weddings or that 16 year old’s first job interview. 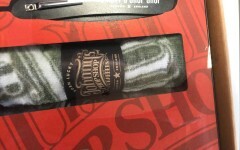 They’re made from a smooth leather material and have closed lacing with the eyelets sewn under a seam. These are common place in banks and Canary Wharf. 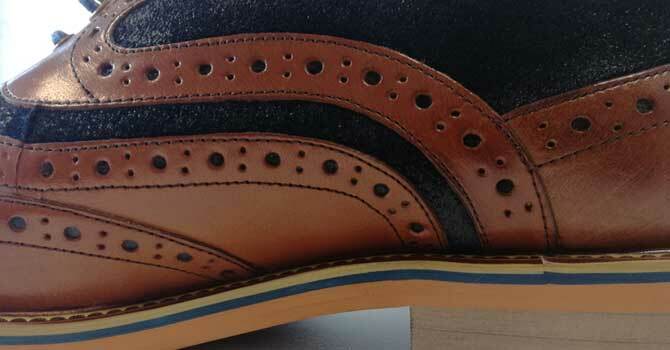 Brogues have a heeled cap, while they also have a decorate design at the front and often along the sides. Often purchased in a brown colour, the lacing is open and the eyelets are open. 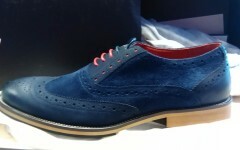 HOWEVER, there isn’t actually a type of shoe called brogues, it is actually the decorate design at the front which is called broguing, but everyone associates the two together. Both can look amazing, it’s just about matching them up with the right clothing and not going down the hipster route of having ridiculously over-the-top socks. In fact, Slater’s have quite a large selection of Justin Reece shoes, so I might find myself on their quite often this year!